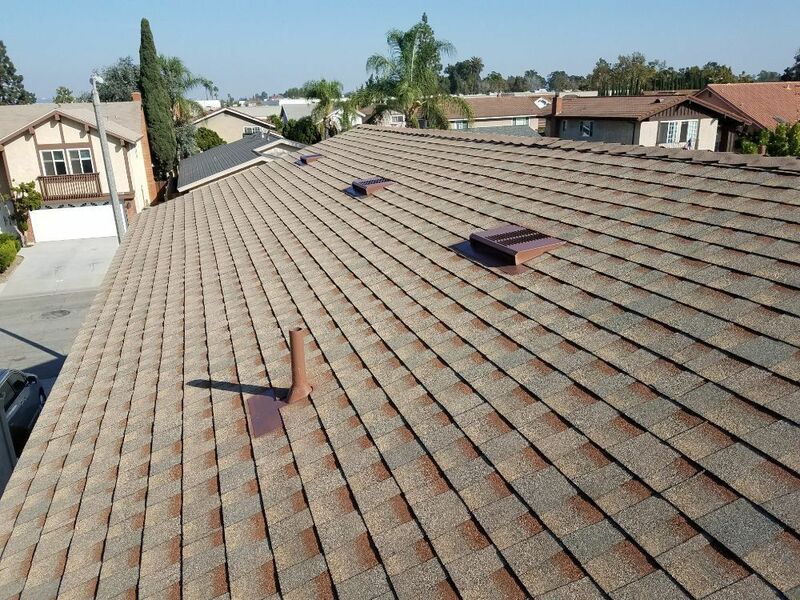 Roof Pro Remodeling is your premier roofing company for any and all Residential and Commercial roofing needs in Buena Park, California and the surrounding areas. Our team has extensive experience and knowledge in the industry to give clients high-quality roofing combined with superior customer service and workmanship at an affordable price. With over 50+ years of combined experience, our licensed and skilled professionals at Roof Pro Remodeling are passionate about the quality work they provide to each and every client. Our goal is to provide you with the best experience and the last roof you will put on. We are second to none and we will let our clients speak for us! You can trust that we&apos;ll complete your job with a sense of urgency and professionalism. We use only the highest quality products for your roofing needs. We are Certified ensuring that your roof remodel will be of the highest caliber. We offer services for both residential and commercial roofing. Let us know how we can help you today! An Easy, Affordable Way To Finance Your Roofing Project. We can offer different finace options base on you situation. We offer convetional finacing and we also offer finacing through PACE programs for your roofing project and other home improvement products and services. • Convenient monthly payments in some cases with NO MONTHLY payments for up to 18-months. •Special finance promotions with up to 18-months same as cash offers. Brought To You By Your Local Owens Corning Prefered Contractor. A roofing project is something every homeowner must eventually face. Keeping your roof in top-performing shape is an important investment—one that can potentially pay you back over time in increased energy savings, reduced long-term costs, and greater home value. But what is the best way to pay for this major investment? For many homeowners, financing is the answer. Whether your roof needs minor repairs or a complete replacement, whether you’re looking to sell your home or simply enhance it—financing is a legitimate, affordable, and smart way to start your roofing project today. Q. Why should I consider financing my roofing project? A. Roofing can be a considerable—and often sudden—expense. For many homeowners, paying this expense out of pocket simply isn’t an option. And depleting one’s savings isn’t necessarily a desirable solution, particularly in an uncertain economy. That’s where financing comes in. You can take care of your roofing needs now and pay for them over time— on a schedule that works for you and in amounts that work for your budget. Q. Can I hold off on my roofing repairs rather than financing now? A. Your roof is your home’s primary protection against the elements. The longer you wait to repair leaks, the greater the chance of serious damage. Leaks can cause blistering and peeling of interior and exterior paint, mold and mildew growth on interior ceilings and walls, and exterior decay on sheathing and siding—not to mention extensive damage in the attic. Your expenses will only increase unless you make your roofing repairs as soon as possible. Financing gives you the freedom to do that. Q. Can I finance other home improvement projects? A. Absolutely! Not only is financing a great way to repair or replace your roof, it can also be used to add other valuable enhancements to your home that can increase its resale value. Q. Do I have to finance the full amount of my roofing project? A. No. There is flexibility on the amount financed. Q. There are lots of companies that offer financing. Do you have any recommendations? A. Yes. as a Preffered Certifiend contractor we have access to various financing programs with the top lenders when it come to remodeling or upgrading your home. This makes it even easier to start your roofing project today and pay for it over time. * To find out how, call us and ask what programs are available in your area. If you are looking for an honest and a professional roofer with a very fair pricing, look no further: Caesar is the man you can count on! He will work with you based on your budget and features you need. He will also let you know ahead of time for some unexpected damages or repair expenses once they remove your old roof shingles. No unpleasant surprises! I normally don&apos;t do reviews. If I do, I can only speak for experience. The Roof Pro team is one well oiled machine. They showed up and completed the roofing job on time as they promised. When my roof is complete, my property is neat and cleaned. My family truly enjoy the new cool roof. Hopefully the quality of roof will last for the next 50 years as the GAF promises. I would HIGHLY RECOMMEND The Roof Pro to anyone! Thank you for everything Caesar!